Exciting news at the Bull Run Warrior Retreat this week as we received a donation of 2 medium sized Big Green Eggs. Dizzy Pig BBQ put us in contact with Seasonal Firestyles of Waldorf, MD who donated the eggs to the Visiting Chef Program. 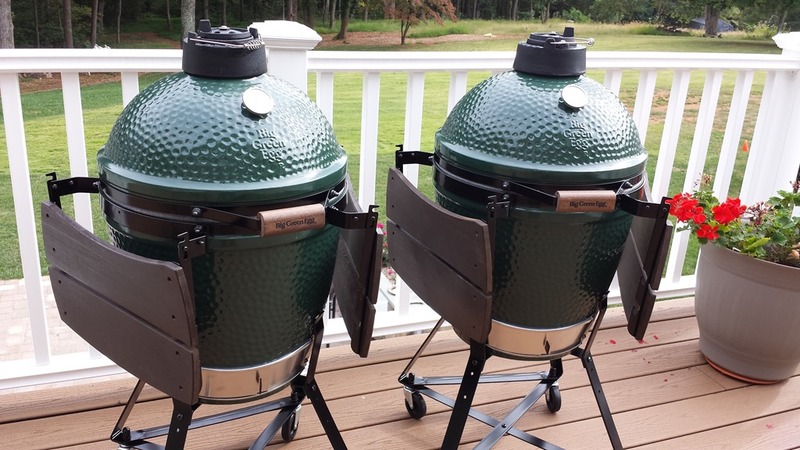 I know chefs will love grilling and smoking with the Big Green Eggs. Thanks to Tim Jarek at Seasonal Firestyles and Chris and Joellen at Dizzy Pig for making it happen.